A few Monday nights ago, I excitedly arrived at a bustling spin studio in Portsmouth’s up-and-coming “Portsmouth Green” plaza. Welcomed with a warm hug by co-owner Jen, I saw three people on their bedazzled bikes as they chatted and waited for the ride to start. 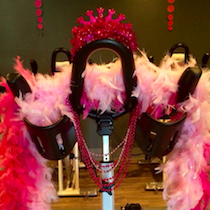 Smiles and laughter filled the 32-seat studio and excitement was in the air – tonight we were celebrating milestone rides (100, 200, and 600) of three loyal and inspiring CycleFierce riders, and the entire class came together for a cardio party in honor of their accomplishments. The evening’s playlist was curated with these three power ladies in mind, and we rocked out to remixed pop tunes, sweat like maniacs, pushed ourselves to the wall, and even snuck in some arm work! 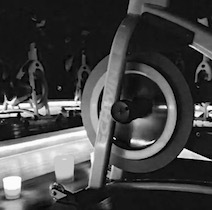 When I left the studio after Jen’s “Monday Night Magic” ride, I was exhausted and drenched from such an incredible workout, yet surprisingly more energized, after riding to the music and experiencing the special vibe of this supportive, warm community. Jen Sebeny and Kat Moulton met a few years ago at a local gym and became training partners. 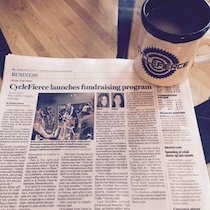 With a shared passion for boutique fitness and all things cycling, the seeds of a great business partnership were planted. 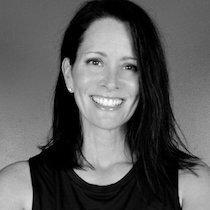 Jen had recently moved from Washington DC where she maintained a deep connection to her indoor cycling studio as both a rider and teacher. 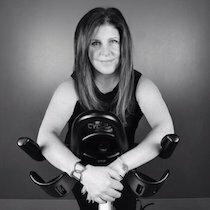 She knew what it was like to be part of such a special community, and when she discovered that a similar cycling studio didn’t exist on the seacoast, she longed to create one. Kat is a long-time local who has a passion for outdoor cycling. She has competed in countless triathlons, as well as many road and adventure races. Their combined level of excitement around these different styles of cycling was the perfect match that allowed the best of both worlds to come together under one roof. 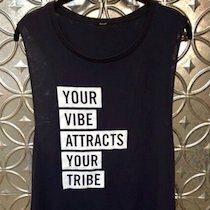 Kat and Jen describe their business as their “fierce tribe” – a place where there is no intimidation or attitude – where friendships and connections are created and celebrated. 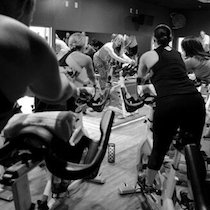 They welcome all levels of riders to each class from seasoned cyclists to those who have never worked out in a group setting before. 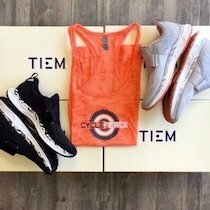 With over 12 different instructors, each with a unique personality, style of teaching, and preferred playlist, and a variety of classes offered every day, CycleFierce’s goal is to offer an unparalleled experience for each rider. 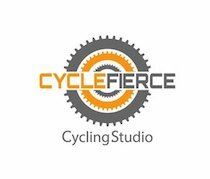 One of the parts I most look forward to during classes at CyleFierce is the “Fierce Song”. Towards the end of class, the dim, candle-lit studio goes completely dark for a few minutes without instruction. Since you can’t see anyone around you, you can spin to your max, or take it slow and ride to your own beat, getting lost in the song – “meditation in motion” was exactly what it was. 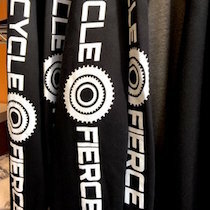 CycleFierce is located in the Portsmouth Green Plaza (Lafayette Road) that is currently undergoing an attractive new facelift and is welcoming some fabulous new neighbors including upscale shopping boutiques, local eateries, additional boutique fitness studios, and COFFEE! The beautiful 1,300 square foot studio is equipped with a shower (that includes all necessary amenities), cubbies, filtered water, and lines of custom athletic wear, designed by Kat and Jen, and printed by Rocky Coast Print Works. Hooray for supporting local! 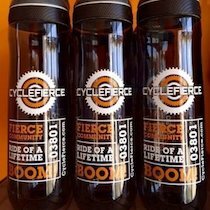 CycleFierce is committed to the seacoast community. 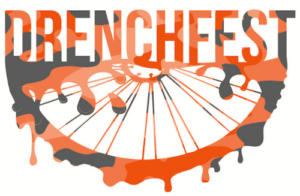 They offer everything from fundraising and charity rides (check out their recently launched “YourCause/FierceEffect” program), private and special events (live DJ rides and their signature 90-minute “DrenchFest”), and they often collaborate with other small businesses or fitness studios to spread the local love. They are “In the business of changing lives,” and these are just a few of the ways in which they make this priority a reality. 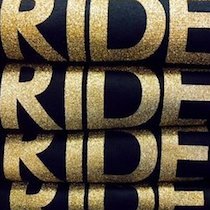 Your first ride is always free! 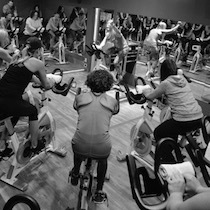 You can book classes and reserve your fave bike here. Thank you Kat and Jen for creating a cycling sanctuary here on the seacoast. I am inspired by your hard work, passion, energy, and the ways in which you better our community.